To configure Facebook registration/login, you’ll need to create a Facebook app and insert the AppID and AppSecret on the settings page. The ‘Site Url’ will be needed to create the App on Facebook. 1. Creating a Facebook app is not a too technical thing. You can easily do it by clicking on the ‘Create an App’ link indicated on image above or go directly to https://developers.facebook.com/apps/. 2. Give your App name and your contact email address. You can choose any name related to your website or anything that you can recognize it in the future. 3. 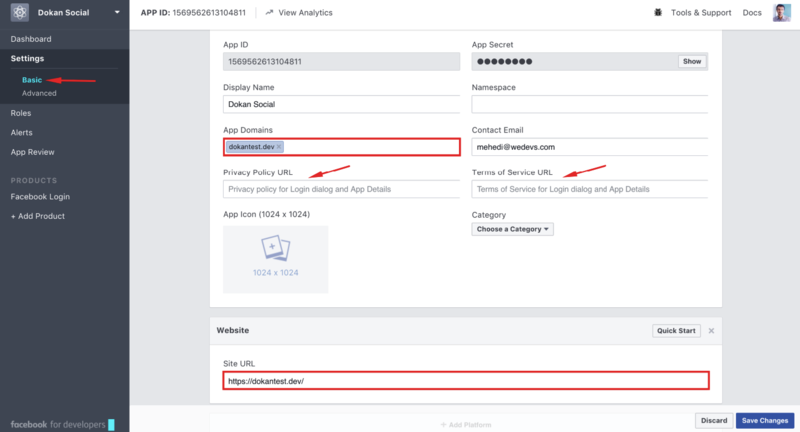 Select the App type as Facebook Login. 6. Now, copy your AppID and AppSecret from your app dashboard. 7. 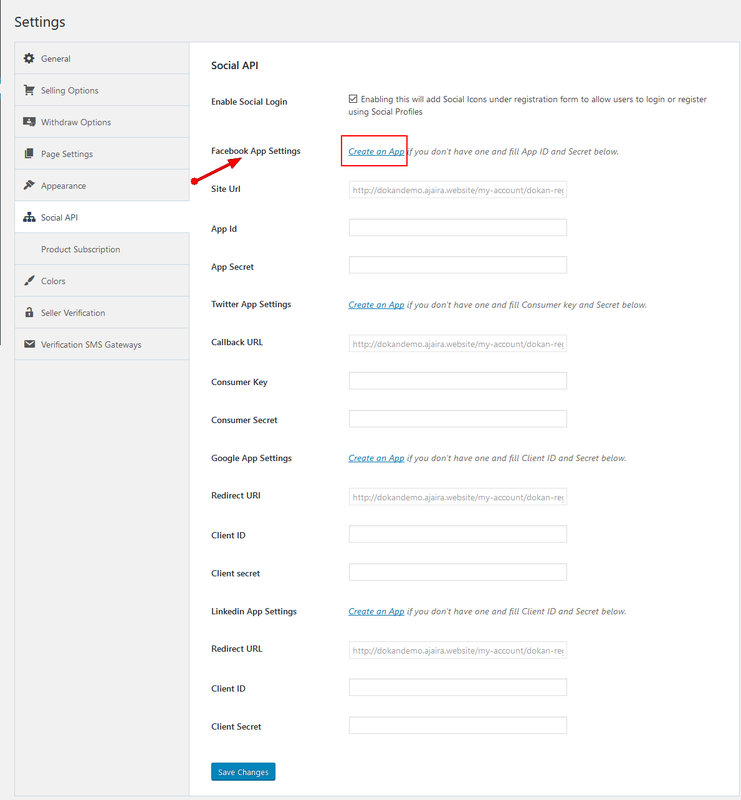 Paste this ID and Secret into the Social API Settings page of your Dokan dashboard as shown in the image below. 8. Click on the Save Changes– you are all done configuring Facebook registration/login setting here. 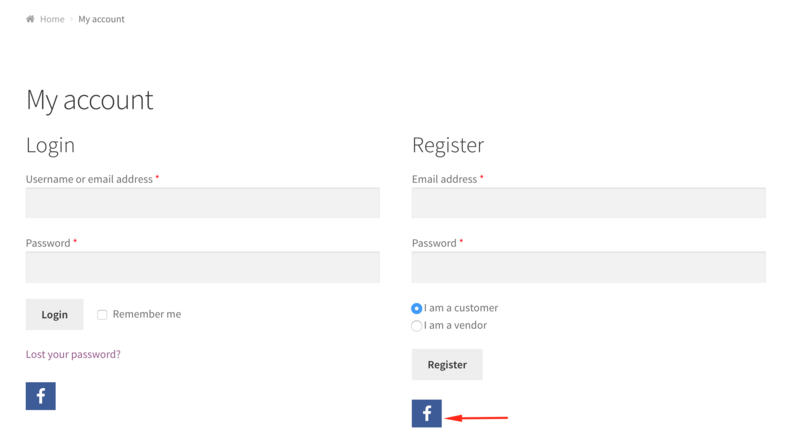 Now click on the Facebook icon on the login/registration page to login/register with your Facebook account to your website. Voila! You'll be asked to sign in to authorize the app. 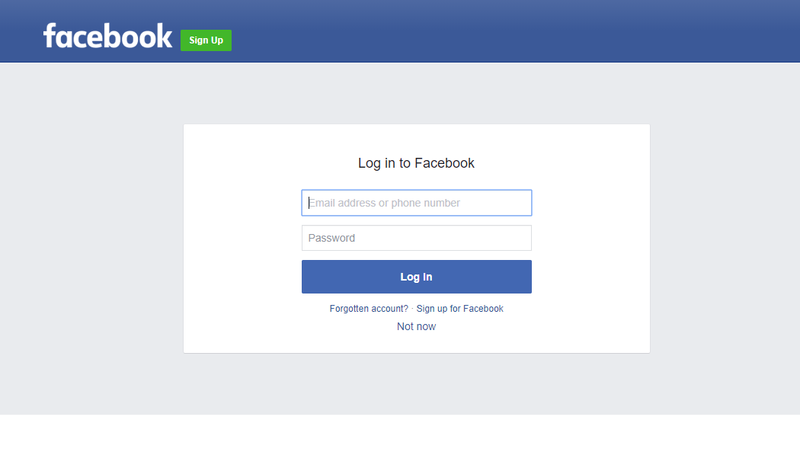 That's all about configuring Facebook Social Login for Dokan Multivendor!